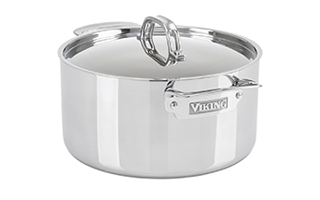 Stainless Steel cookware from brands like All-Clad, Viking, and Cristel stays looking great for longer than any other type of cookware because stainless steel is such a long-lasting material. 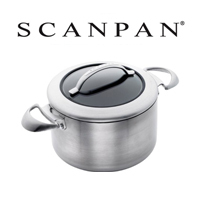 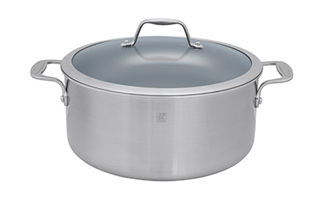 This quality cookware is incredibly resistant against stains, rust, and other damage. 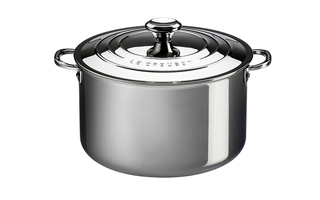 Also, stainless steel is the best material in cookware for browning, sauteing, and pan frying because of the way it cooks. 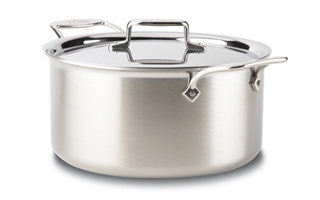 This cookware won't ever adversely affect or change the flavor of food because stainless steel doesn't react with food. 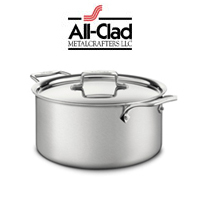 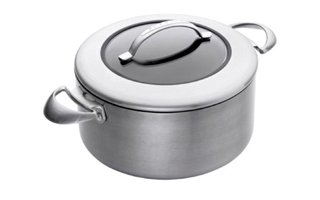 All-Clad's Stainless cookware is some of the most popular cookware among professional chefs. 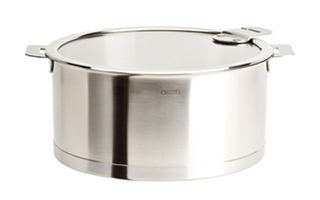 This cookware is resistant against stains and damage and heats evenly thanks to its clad construction. 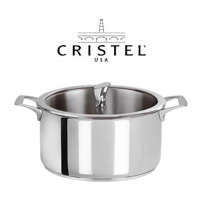 You can depend on this made-in-the-USA cookware for great-tasting dishes. 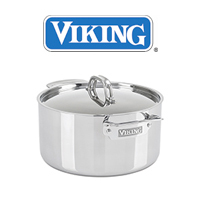 Viking Stainless Steel Cookware comes in a 5-Ply and 3-Ply variations.